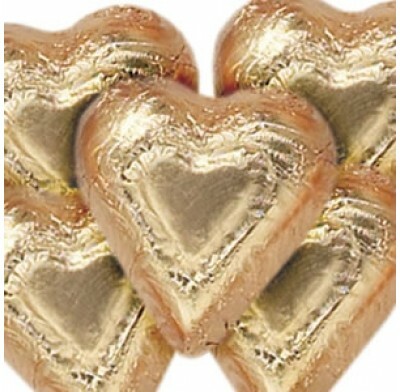 Dark Chocolate Bronze Foiled Hearts from Madelaine, delicious heart shaped chocolates in classy bronze foil. The perfect Valentine's Day treat. Kosher Dairy. Sold in bulk, delivered in a 5lb box. 60 pieces per pound.